"I bought self-rising flour by accident, so I decided to make the best of the situation. I could make regular biscuits, but regular biscuits are boring. What could make biscuits more interesting? The answer was in the side door of my refrigerator: Sriracha!" Stir flour, half-and-half, vegetable oil, and Sriracha sauce together in a bowl to form a lumpy dough. Roll dough into 2-inch balls and place on a baking sheet. 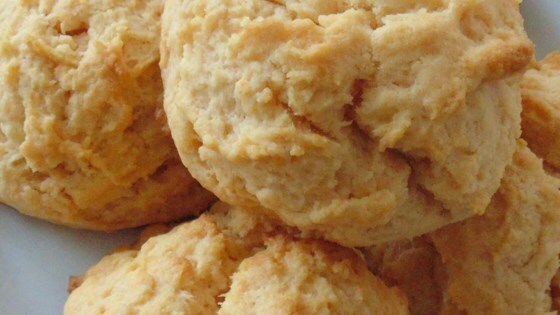 Bake biscuits in the preheated oven until golden brown, about 15 minutes. Brush melted butter and sprinkle salt on top of each biscuit. I didnt had self rising flour. I used all purpose flour with 3 tsp baking powder. I put 1 1/2 tbsp hot sauce and wooooow !! !